Now I think this arises almost entirely from your choice of the term “Nat. 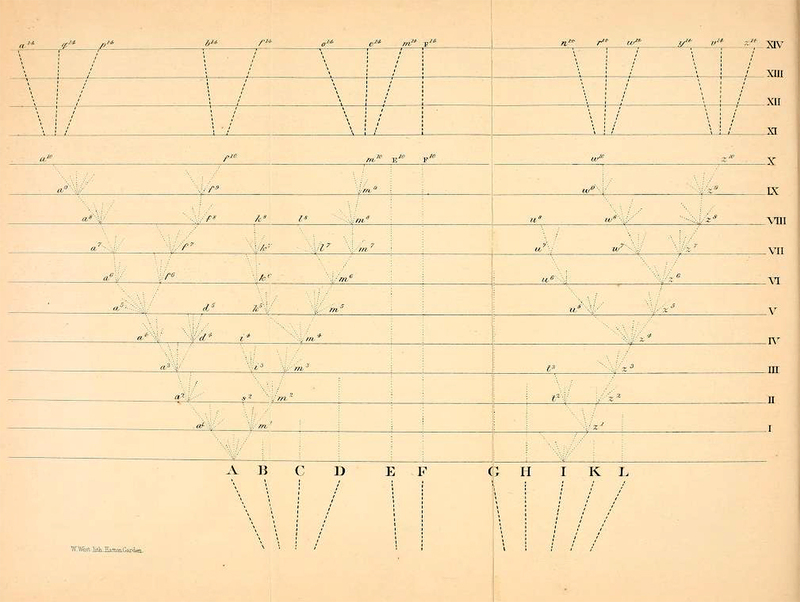 Selection” & so constantly comparing it in its effects, to Man’s selection, and also to your so frequently personifying Nature as “selecting” as “preferring” as “seeking only the good of the species” &c. &c.
In 1869, he introduced it in a few places in 5th edition of Origin. However, he never abandoned the term ‘natural selection’ and only saw ‘survival of the fittest’ as a synonym or auxiliary phrase to make his meaning clear to his readers. Darwin recognised that no phrase would be perfect in capturing the essence of his theory, and the use of ‘survival of the fittest’ had some unintended consequences. Today, most modern biologists reject the phrase because ‘fittest’ has connotations in popular culture well beyond its original biological meaning of reproductive success. It was used in the 19th century by so-called social Darwinists to justify the unrestrained competition of cut-throat capitalism, and by creationists in the 20th century to criticise evolutionary theory for justifying moral standards that lead to ill treatment of the weak in society. Read more about Darwin's life in 1866 and his concept of natural selection. Darwin’s endless capacity to question his 2,000 or so correspondents – or as he said, his tendency to ‘pester them with letters’, shows him to be a collaborative scientist. His years of experimentation, collecting scientific information, and testing and retesting of his ideas – and his encouragement of others to do the same – reveal that his theories were developed gradually over time. 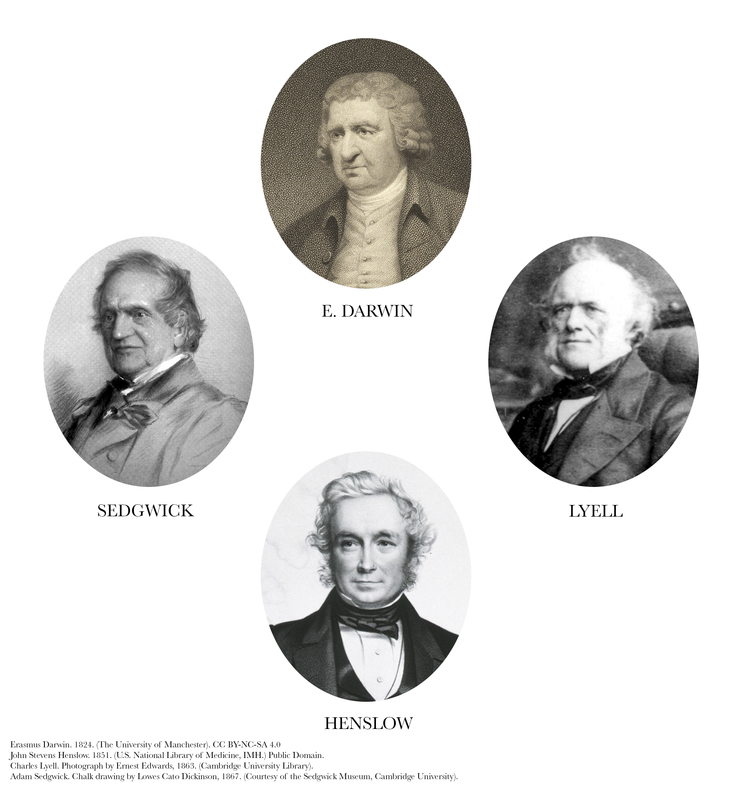 Darwin was not the first to come up with an evolutionary theory but was indebted to the work of his forebears, including his grandfather, Erasmus, a physician, natural philosopher, slave trade abolitionist, inventor and poet. He was familiar with his grandfather’s work Zoonomia and his poem on evolution, which began to question the origins of life and the mutability of species. Ideas about species change had become a fascination by the mid nineteenth century. Bestselling books such as the anonymously published (and scientifically sketchy), Vestiges of the Natural history of Creation, showed there was an appetite for evolutionary explanations. As an undergarduate at Cambridge, Darwin was part of a scientific community. He was influenced and inspired by John Stevens Henslow, his botany professor. His strong interest in geology was cultivated through his fieldwork with Adam Sedgwick, and the work of geologist Charles Lyell shaped and influenced his ideas. By the time Darwin returned from the Beagle voyage he was well known in the scientific world for the all the specimens that he had sent back. He was then engaged for many years with a host of scientific experts, helping him to identify and classify what he had found. He was not alone, nor did he have all the answers. He constantly sought advice. 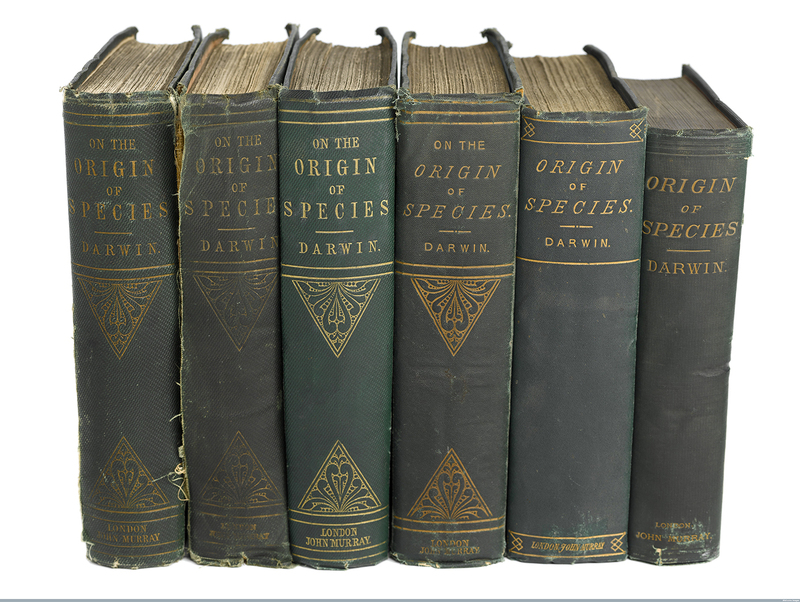 Read more about how Darwin wrote Origin of species and what Darwin read. 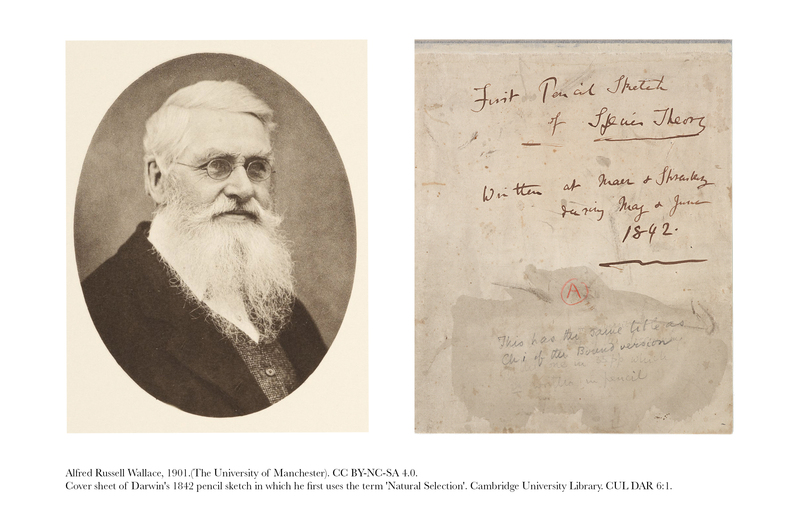 After the Beagle voyage, Darwin spent a short time in Cambridge organising the specimens he had collected and then became part of scientific society in London. When he moved to Down House in the Kent countryside in 1842, he is often portrayed as a recluse, frequently ill and avoiding people. It is true that he moved to Down partly to escape the pressures of London and that he suffered periodically from an unexplained illness that stopped him working. But Down was much more than a family home: it became his scientific laboratory, peaceful writing place and a new social centre for invited guests. Darwin often went to London in the forty years he was at Down to stay with his brother Erasmus and, later, his daughter Henrietta. While in London, he arranged meetings with scientists such as the chemist Edward Frankland for advice on the work he was doing on insectivorous plants in the mid-1870s. With the ready access that London provided to a network of people, he also pursued good causes. For example, in 1873, he met with many scientific friends in London to put together a relief fund for Thomas Henry Huxley, who was struggling financially. 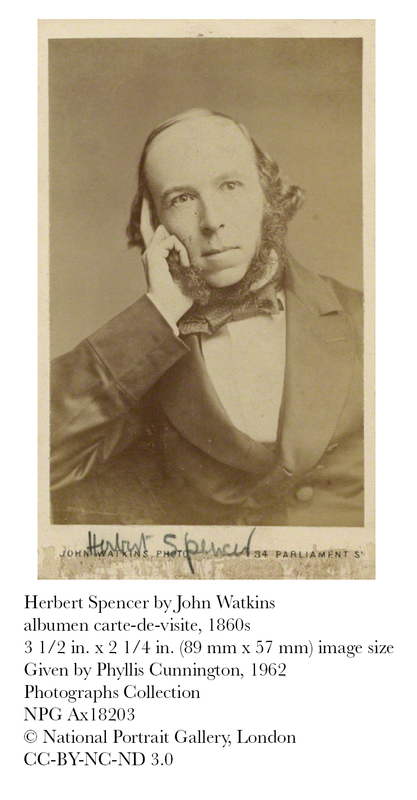 And in 1875, he played an important role in the controversy over vivisection, lobbying physiologists, politicians and organisations concerned about animal welfare to come to a compromise, which minimised animal suffering but did not impede important scientific research. Darwin was also well networked through the postal service. Although he spent a lot of time at Down, letters were coming in from all over the world in response to his published work and his own letters. In the late 1860s, he produced a questionnaire on the expression of emotion and used his extensive network of correspondents to seek replies from the most remote parts of the world on a diverse range of different peoples. So Darwin was far from reclusive, he was extremely social in writing and in person. And his research could not have been conducted without a network of friends, colleagues and experts. However, by living at Down he was able to control far more closely which people he saw and when he saw them. 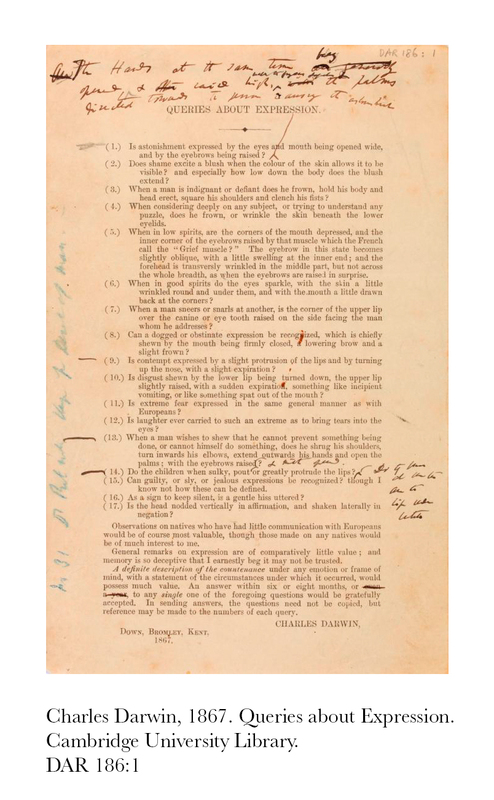 Read more about what it was like to visit the Darwins at Down, Darwin's involvement in the 1875 vivisection controversy, and Darwin's questionnaire on expression. Letters, notes and pages from his Experiment book reveal Darwin to be a very present father, and show a great family effort in some aspects of his work. During first week. yawned, streatched himself just like old person—chiefly upper extremities—hiccupped—sneezed sucked, Surface of warm hand placed to face, seemed immediately to give wish of sucking, either instinctive or associated knowledge of warm smooth surface of bosom. As they grew, the children became more and more involved in Darwin’s work, collecting data and specimens and carrying out experiments. Whilst tracking the flight paths of a bumblebee, Darwin described how his children were positioned along the route and instructed to shout ‘Here is a bee!’ in succession, when they spotted the bee fly past (Letter to Hermann Müller, [before 5 May 1872]). Darwin supported his sons in hobbies that he did not always approve of. George, Francis, and Horace drew soldiers and designed coats of arms on the back of old manuscript pages of Origin, and in 1859 Darwin wrote of George: 'He has not touched Heraldry this holidays; I am glad to say; but was very keen after Lepidoptera—'. He thought Leonard's love of stamps 'a poor form of collecting', nonetheless he asked Asa Gray to send American stamps for Lenny. After they left home, his sons continued to help him with botanical observations, photography, and designing and making experimental apparatus, with Francis later becoming his assistant and secretary. Darwin was not stuffy, stern, and remote then...but loving and engaging. 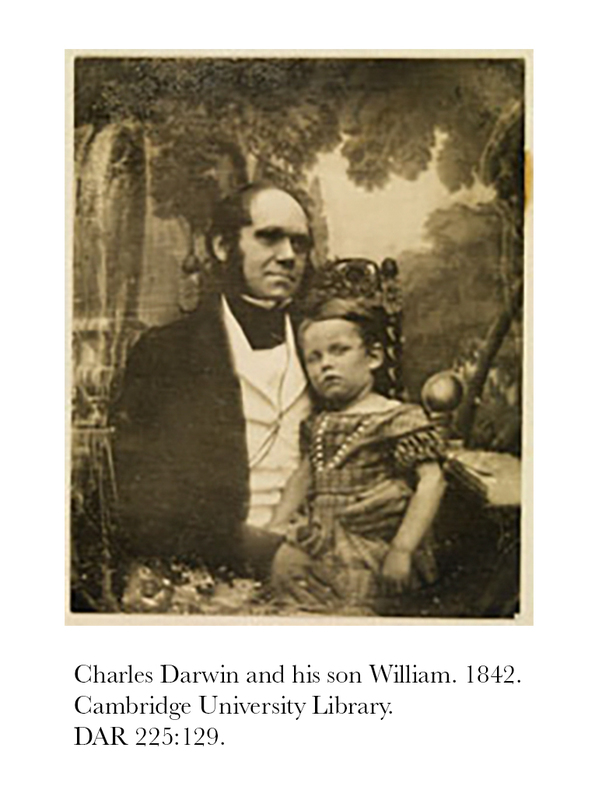 Read more about Darwin as a father, his observations of his children, and the death of his daughter Anne Elizabeth. Wallace came to similar conclusions about the mechanism for evolution (which Darwin termed ‘natural selection’). The surviving historical evidence makes it clear, however, that Darwin had spent years developing the theory, amassing the evidence, and had written it out in draft form years earlier in 1842. Darwin didn’t steal it. At the time Wallace's letter arrived he was working on a vast manuscript (later referred to as Natural Selection). Darwin and Wallace did not always agree in their conclusions, but continued to debate with one another on scientific matters in a most cordial manner. In later years Wallace became interested in spiritualism, moving away from natural selection as a means of explaining human evolution, much to the regret of Darwin and others. The letters continue to show not animosity, but respect and lively debate. Darwin lobbied for a government pension for Wallace, which was immediately granted by Gladstone in 1881, the year before Darwin died. Read more about Wallace's 1858 essay on varieties, Darwin's writing of Origin, and Darwin's and Wallace's debate about sexual selection. Many of Darwin’s readers found a way of reconciling his theory of natural selection with their own religious beliefs. However, what Darwin thought about religion is particularly opaque, as he mostly remained silent on religious matters in his published work. His private letters are reserved about his personal beliefs and show a reluctance to pronounce on matters of belief for others. Therefore, the myth that Darwin converted to Christianity on his deathbed has no foundation. It started life in sermons preached shortly after his death. But it gained pace in a newspaper article in the Boston Watchman Examiner by Elizabeth Cotton (Lady Hope) in 1915, 33 years after Darwin’s death. She claimed that Darwin had said that he wished to recant the doctrine of evolution in exchange for Christian salvation, when she had visited him as a close neighbour. This was vigorously denied by the Darwin children, who stated that Lady Hope was not even there in his last days. Lady Hope might have visited Down seven months earlier in 1881 but Darwin certainly wasn’t bed-ridden then. Nevertheless, the story spread and was republished in 1955. Darwin was never very interested in discussing religious questions. However, it is clear from the little we do know about Darwin’s belief that he was not a Christian in the later part of his life, but was never an atheist. 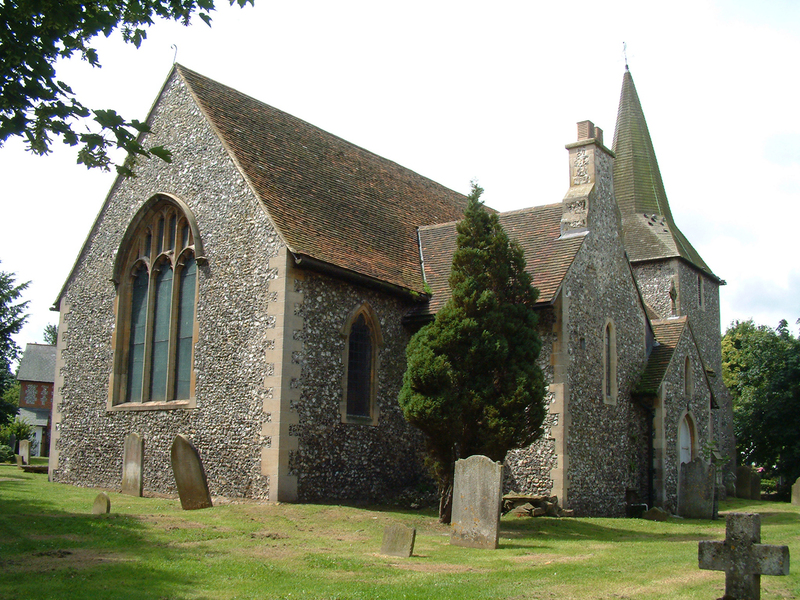 Read more on what Darwin did believe, and his relationship with the church. For more on the deathbed conversion myth, see James R. Moore, The Darwin legend. London: Hodder & Stoughton, 1994.